First of all I want to thank you, my readers and future readers, for taking precious time out of your lives to read my blogs. If you read, I'll write. The blogging world is full of great beauty bloggers and there is no doubt that interest in looking good and taking care of our skin will continue to grow. What has been missing are the voices of scientist/physicians that blog solely on the facts and can help the millions of skincare consumers begin to understand the truths about skincare. I often go around to skincare counters and have visited every major skincare line. One doesn't realize just how dramatic the lies and deceptions are within the industry unless one can truly understand the how, what, and why of the skincare business and skincare science. I could not describe to you how awe-struck I have been; I still can't believe that it is legal to blatantly lie to consumers about products. I was fed up! I am an AMERICAN and I will not tolerate this manipulation of consumers, especially by forces that care only about their profit margins (not to mention investing millions of dollars into psychological marketing techniques to manipulate customers to achieve their end cause). Thus, this blog was borne, and not to be negative or angry, but to just state truths and educate the public. After all, an educated consumer is the best antidote to companies that prey on vulnerability. With technology promising to truly empower consumers with readily available information, the future will hold companies even more responsible to their business conducts. I am taking a conscious decision to effect as much positive change in the world as I possibly can, mostly through education and speaking the truth, and, most importantly, leading through example. This is why TRUTH in SKINCARE was a perfect outlet for me to put my best skills to their best use. It has also been amazing dealing with fellow bloggers. I think that one must naturally be a warm and wonderful person to be a blogger, at least that easily describes most of the bloggers I have encountered. Rest assured, I come with an open mind in approaching skincare, respecting ancient wisdoms and the truths of modern science. I am a fan of both ancient and modern knowledge and believe that when we combine knowledges and find their common ground, we can grow best from here. Just like with everything, including religions and cultures, if we can start with what we have in common (instead of dividing ourselves based on our differences) the synergy from this could catapult humanity to real success. I mean, really, if we just focused on our common beliefs we probably wouldn't have time to get to our differences!! And we would certainly love and respect one another more. This blog will take up a significant portion of my time, and I write everything myself unless noted otherwise. I certainly could pursue other ventures instead of blogging that would be financially rewarding, but, rest assured, I am not in this for the monetary gains. I believe that we take nothing with us besides our actions and beliefs. I choose to invest my time in this blog because it is one of the best things I feel I can do to help people. (cause i love you all :-). Okay, enough of this mushy stuff . . . 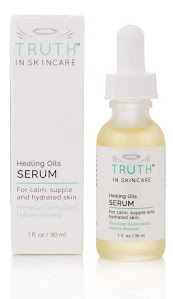 I hope you enjoy my blogs on TRUTH in SKINCARE and I appreciate any and all emails! Thank you Dr David! As a biochemistry student and (hopefully) a future doctor I am thrilled that someone with a research background is writing about skincare products. I cannot explain the irritation I get when I scour the web for information about the skin and get articles written by people who have done a 5 week course in cosmetics talking about molecular biology like they have any idea!!!! And the lies of the cosmetics counters I know only too well!!!! Thank you thank you thank you!!!!! I am excited to find your blog today, especially because of your educational background. I googled, "what are glycols,"
and a link to your blog came up. I am a master esthetician who wishes I could be a chemist but science classes did not click with me. However, I am a research geek when it comes to knowledge of ingredients in skincare because I enjoy keeping my clients well informed. Hopefully by reading your blog, I can become better at understanding the science of it all. Thanks for being here!